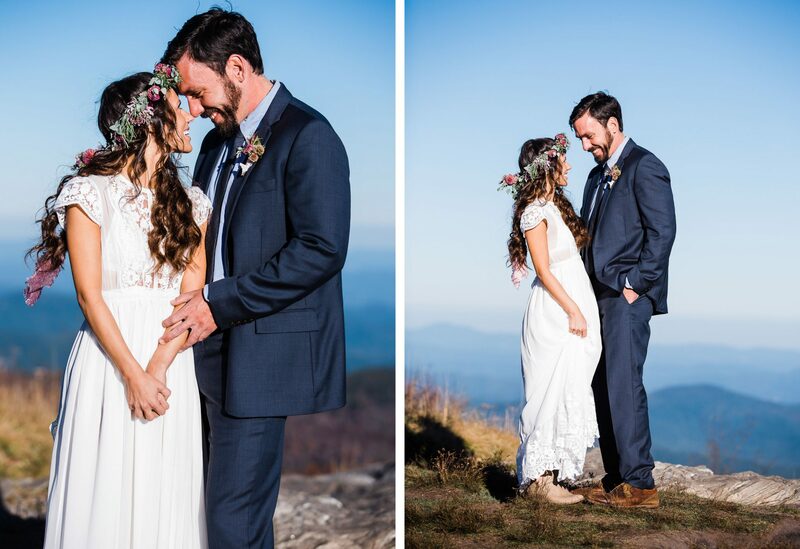 Hunter & Wheatley are Asheville locals that decided to elope in the beautiful Blue Ridge Mountains. 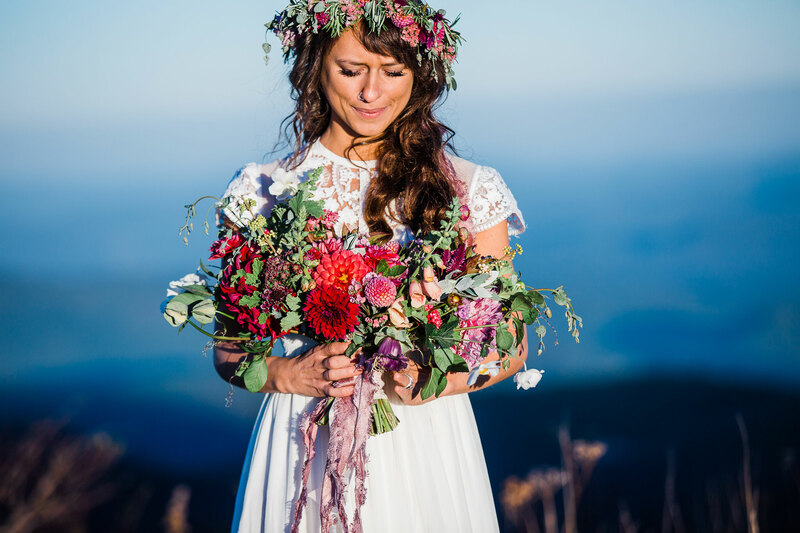 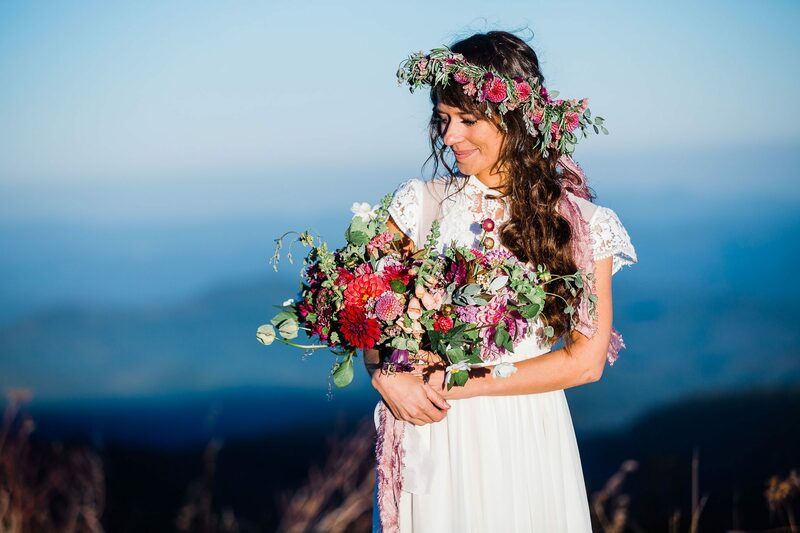 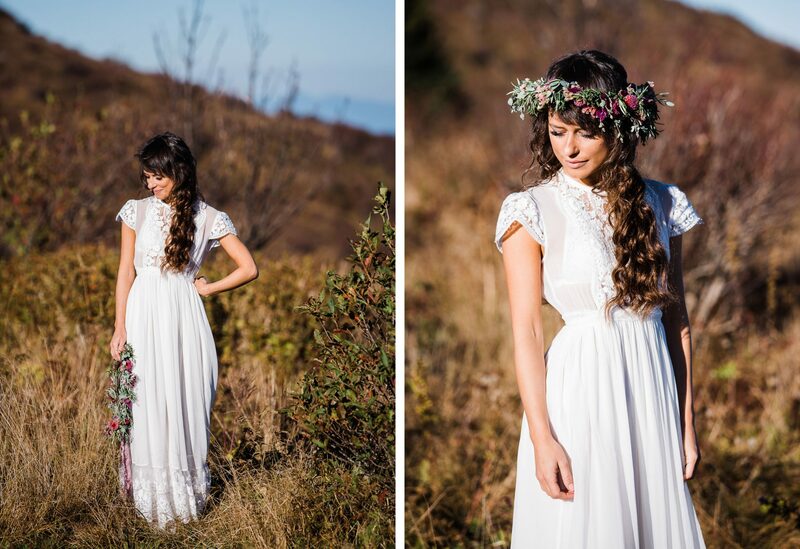 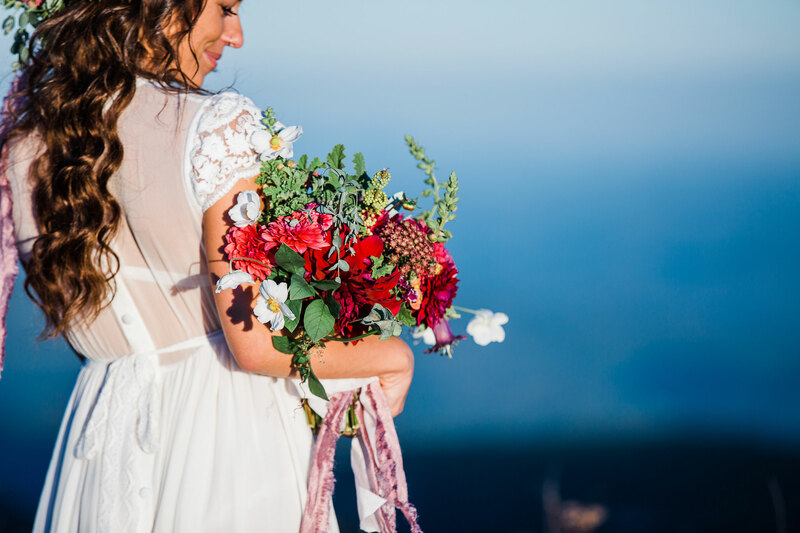 Wheatley wanted a boho vibe with pretty florals and a handmade dress. 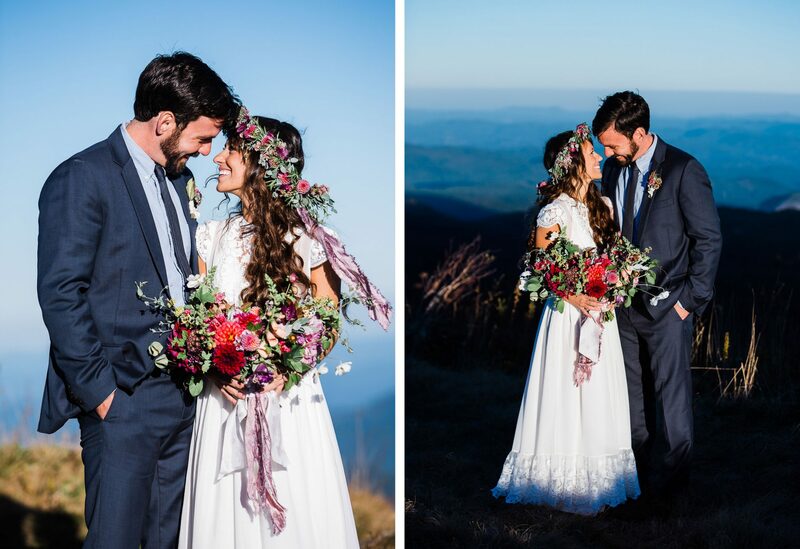 The couple had a first look before heading up the mountain to the ceremony location to read their vows from hand painted vow books. 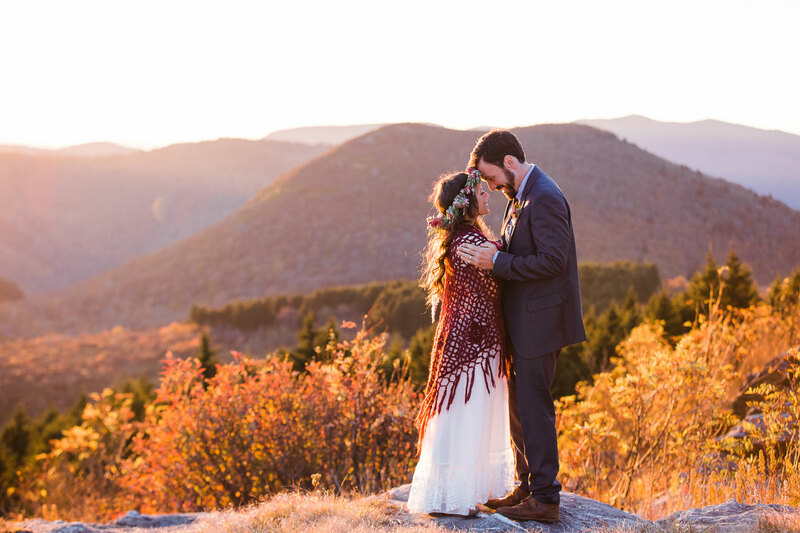 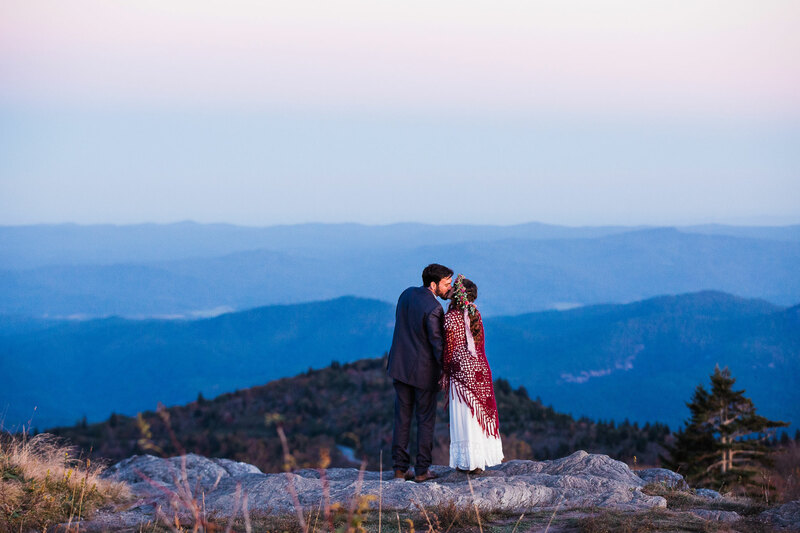 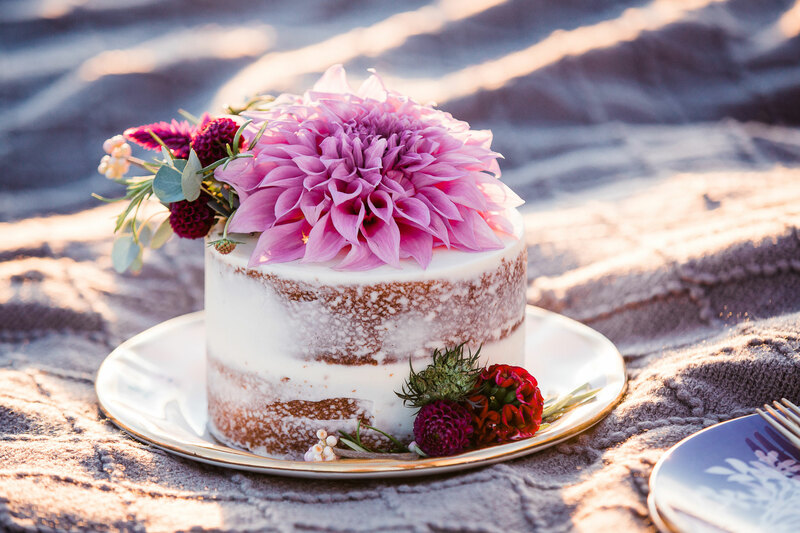 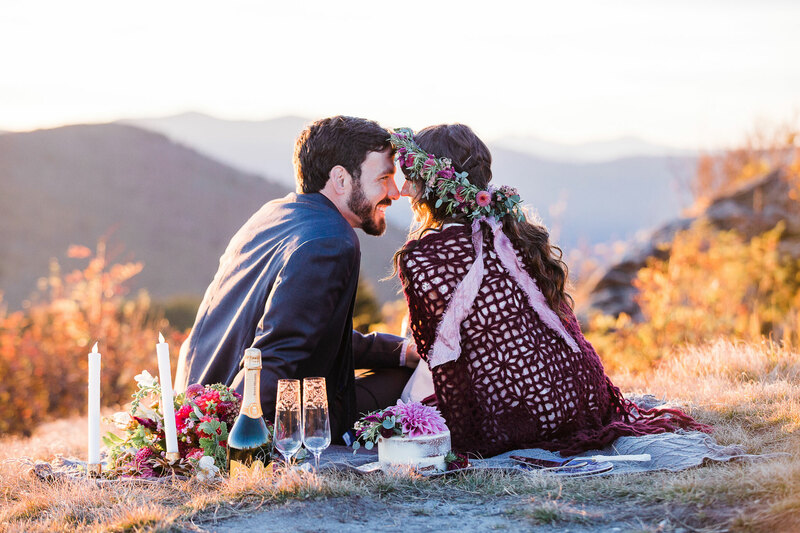 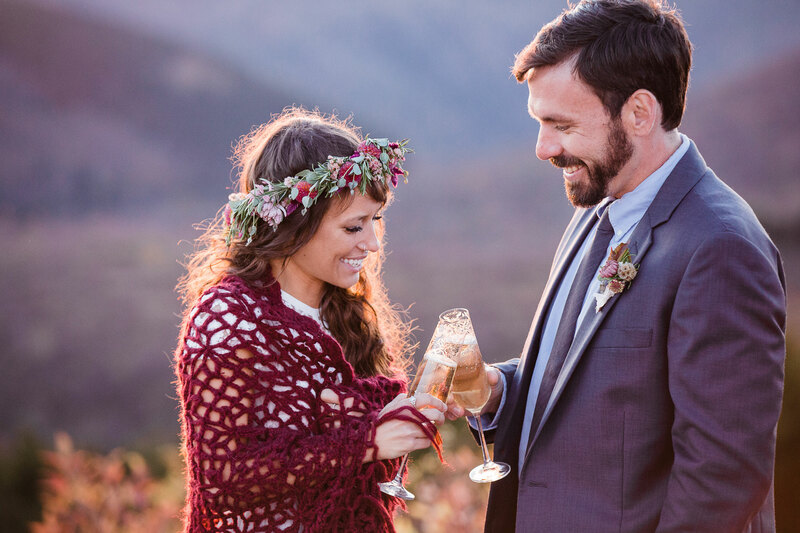 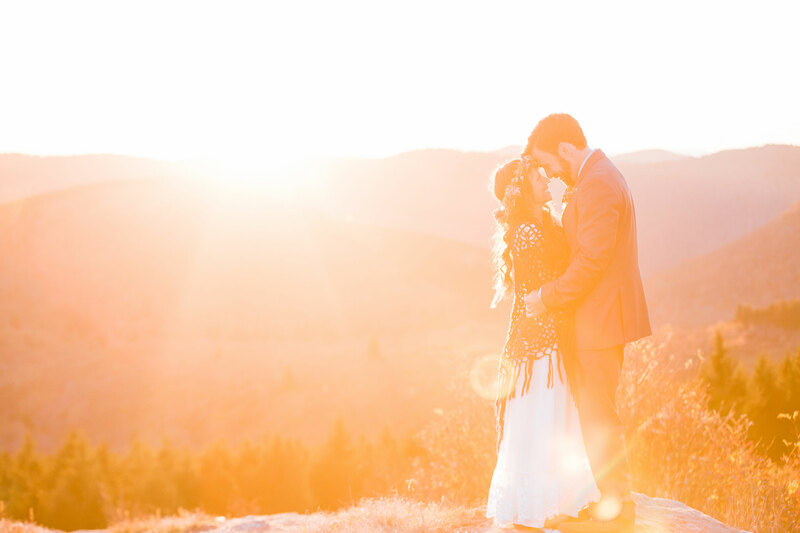 After the short ceremony, they enjoyed cake and a champagne toast on a mountaintop watching the sun set on the Blue Ridge Mountains.